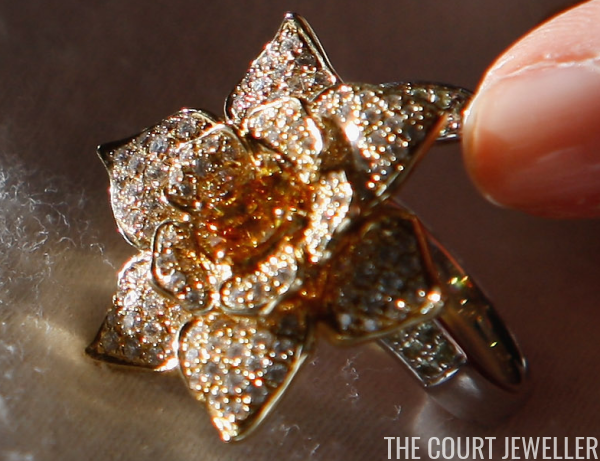 The ring was made by Charlie Pragnell for the George Pragnall jewelry firm, which is located in Stratford-upon-Avon. 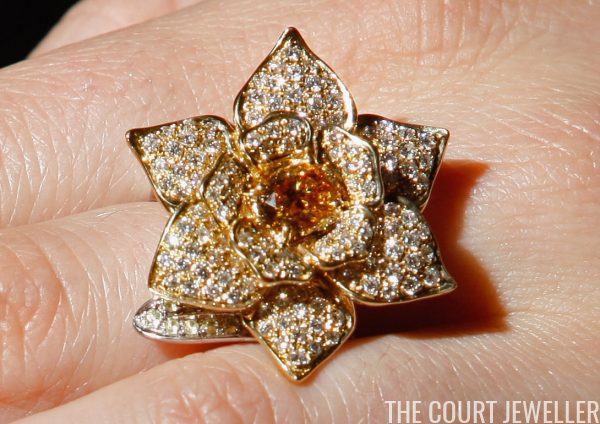 The ring was crafted to celebrate the 60th anniversary of Marie Curie, a charitable foundation which provides nursing resources and home care for those with terminal illnesses. You'll probably recognize the charity's name: Marie Curie was a scientist who did pioneering work with radioactive substances, and she was the first woman to win the Nobel Prize. Sadly, her work involved exposure to radiation that would later lead to her own death. The Marie Curie charity was founded in the UK in 1948, and its initial funds came from the donation of a diamond engagement ring. 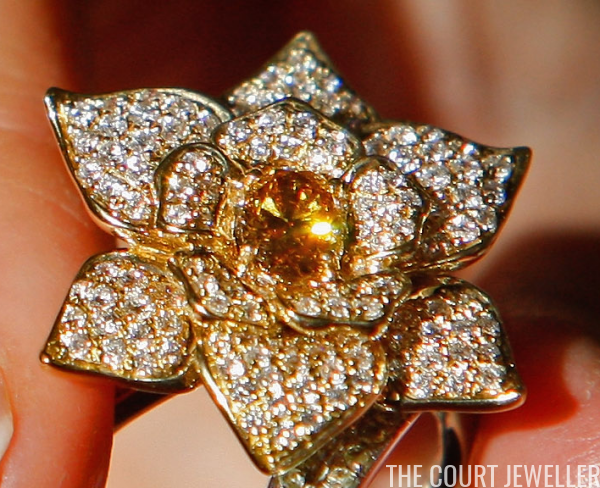 Sixty years later, Pragnell designed this diamond ring in the shape of a daffodil, the charity's logo, to help fund the charity's work. 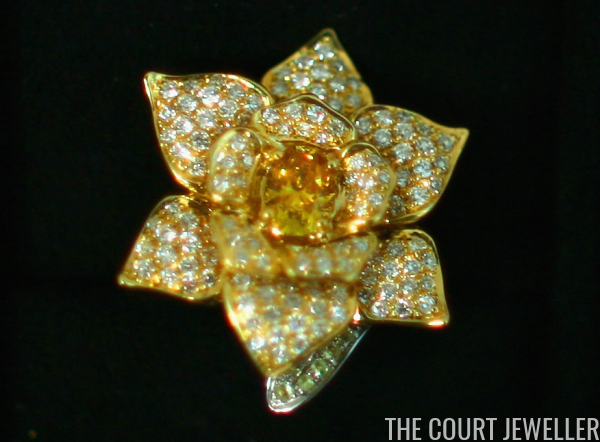 Here's how Sotheby's described the piece in the lot notes for the auction: "It is crafted in 18 carat yellow and white gold, centring on a rare oval Fancy Vivid Orange Yellow diamond weighing 0.82 carats, its petals pavé-set with near-colourless diamonds, with subtle green peridots to the stem and leaf." The sale of the ring raised £50,000 to fund the work of Marie Curie Nurses in the United Kingdom. I love when beautiful things can help to support important causes. So many of us are thinking about ways to help make the lives of others easier and brighter during this holiday season -- if you could design a piece of jewelry to support a cause, what would it be?